The Patrol Division is the largest and most visible division at the Gulf County Sheriff's Office. Led by Lieutenant Tim Wood, the division consists of four Sergeants and nine deputies. They are the uniformed deputies you see in the public each and every day. This division continually operates to serve the citizens of Gulf County twenty-four hours a day, seven days a week. 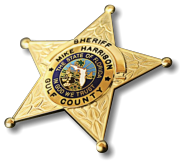 Deputies assigned to patrol respond to emergency and non-emergency calls within the 559 square miles of Gulf County. They are responsible for general law enforcement duties and proactively patrol neighborhoods in order to safeguard lives and property. The duties of the Patrol Division also include traffic enforcement, street-level narcotics enforcement, and preliminary/follow-up investigations.